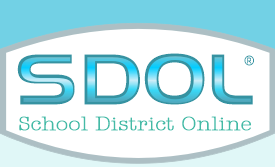 School District Online was founded over ten years ago in San Diego, CA. Ever since the beginning, we have been committed to providing a comprehensive student information system and school district management system that incorporates the complexities of multiple educational software programs into a singular, all-encompassing entity. Our passion is to increase the success of school districts, and henceforth students, through innovative and ingenious technology. Our dedication to providing a highly specialized yet intuitive product is evident throughout our services, whether it be our ability to function within either the private or public cloud, or with our attendance system that is completely Calpads compliant. The possibilities are endless with SDOL, and our “features” page provides a more substantial view of what we have to offer. We would love to show you what makes us different, and how we will fit the unique needs of your school district.